That is strange. Can't believe they have been working without a permit. Could there be different permits for framing, and the rest of the work? 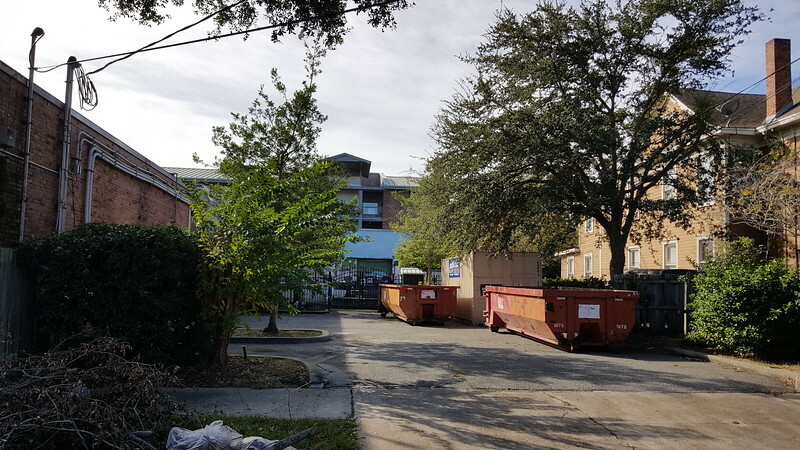 The empty dumpsters shown behind Strings were overflowing with debris this morning, so it would seem interior demo is underway. is there a way to provide when the last reputable update was on some of these? Or whether they were approved, etc? Some of these "construction updates" seem pretty dead at this point. Thank you for putting these together. I really enjoy looking through them. Check out their Facebook post today. Interior photos post-demo. Framing showed up at the Home Street project yesterday. That project is really flying. I wish the Bishopgate project would take notice and speed up. The riverfront building at Broadstone should be open very soon. Website says preview tours start soon, move in "Early 2019"